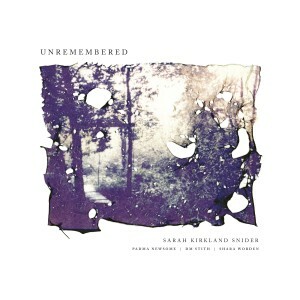 5 years after Snider’s heartbreaking song cycle Penelope, she returns with another one, Unremembered. Shara Worden (My Brightest Diamond) appeared on that album, and she returns here, delivering operatic vocals which possibly sound even better here than on her own recordings. DM Stith and Padma Newsome (of Clogs) appear here as well. This album is another dense, layered epic, with poetic, dramatic lyrics intertwined with vibrant, complex arrangements performed by The Unremembered Orchestra. Much of the album is floating and ethereal, but centerpiece “The Witch” is more percussive and exciting. The lyrics are included in the liner notes, and are all accompanied with illustrations which help tell the story.